“Just this week alone we have increased number of our web bookings almost 100%. We are growing! “I am the owner of two dental practices in Newcastle, NSW. I have engaged Charles and his team from Dental Marketing Expert around six months ago to work on my first clinic. He did a great job. 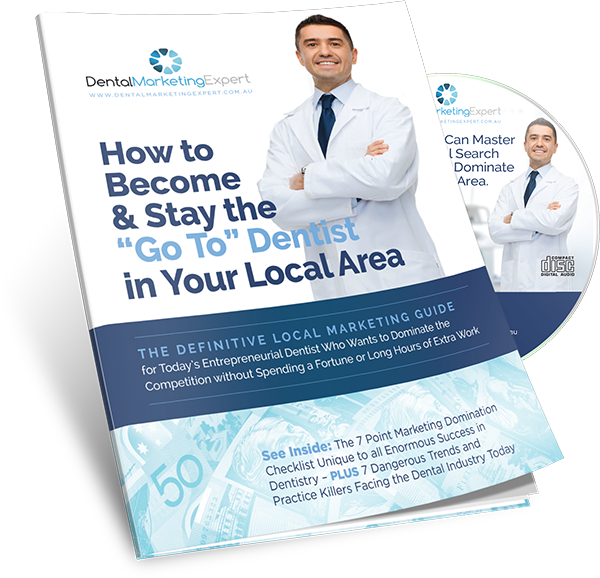 He rebranded and launched our dental website and started implementing his local marketing system for us. At this point, I have decided to do it all myself…BIG MISTAKE! After a few months and $1,000’s loss in business, we are back with Charles and his team at Dental Marketing Expert. He fixed what was broken and just launched our second location website this week. Both of our emails systems are running perfectly now, thanks to Google GSuite system and two perfect dental websites are taking daily bookings. What a life-saving operation that was!